Go Jauntly is an award-winning walking app available in the UK and piloting in Ireland and Sweden. We help people discover new walking routes, connect with nature and enjoy outdoor adventures. We are a growing community so no matter where you are, download the app, enjoy existing walks and add your own favourite trails to help to spread, Happiness Outdoors! Download the Go Jauntly app for free and choose to use the basic features, or subscribe to the paid subscription version to support our venture and unlock all of our specially created premium walks as a thank you! • Free access to shared community walks and some of the Go Jauntly team's favourite walks. • Discover walks tailored to you and through specially curated collections or search for routes for yourself. • Enjoy our new walking map and enjoy more wanders around your city. 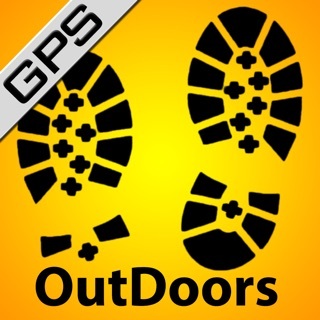 • Create and share your favourite trails by adding photos, directions and points of interest. • You'll be supporting our movement and venture to get more people walking and enjoying nature and the outdoors. • Be first in line for VIP access to special walking events and guided tours. • Enjoy exclusive handpicked offers and discounts from our partners as and when we get them. • For every premium pass you buy we plan to donate premium passes to like-minded not-for-profit partners to share with the wider community. The Go Jauntly community is a growing number of people from every walk of life. Whether you're a city worker keen to discover somewhere nearby for a lunchtime stroll, a parent looking for a new playground for the kids, or someone who enjoys epic walks and wanderlust, the community is about discovery, sharing and celebrating the outdoors in all its guises. So come on in and discover some hidden gems! These prices are for United Kingdom customers. Pricing in other countries may vary and actual charges may be converted to your local currency depending on the country of residence. The National Institute for Health and Care Excellence describes walking as “the most likely way all adults can achieve the recommended levels of physical activity”. We know, it’s hard to change habits of a lifetime but in short, aside from the numerous health and mental health and wellness benefits, spending time outdoors and reconnecting with nature, is said to make us more relaxed, more creative, and more socially connected. - We’ve integrated Mapbox maps which helps to make navigation and following footpaths a bit easier. We’ve also included a new walking directions service on the walking map. - We’ve included the Greater London Authority Street Tree data has also been added to the maps so that you can find out the names of some of the trees in London when out and about! - We’ve enhanced the overall accessibility of the app to make it more inclusive hurrah! - We also welcoming visitors from the US, Canada, Australia and New Zealand who can now download the app and enjoy our UK-wide and Swedish walking routes or make your own routes nearby. Why not upgrade to access our premium routes and support our cause or share your favourite strolls with outdoor pictures from your phone - make sure location is switched on - upload them and add any extra tidbits that people might find useful or interesting. Whether you’re in your local park, favourite high-street or on an epic trail, here or abroad, share your hidden gems and help get your friends and family walking and enjoying more Happiness Outdoors! Earlier on today I rated this app and gave it a low score of one star. After my iphone updated its IOS operating system. I re installed app and then it started work fine, so before installing the app make sure your IOS is the latest edition. Once I got the app up and running I only had a couple of minor issues, and to be fair one of them wasn’t the app’s fault. I found the mapping to be a bit inaccurate and in places showing to be a t a slightly different street. The other problem was 100% not the apps. Due to it being Christmas Eve one of the parks where route goes had closed early. So I had to use public streets as alternative route and got a bit lost. Luckily I saw a familiar bus number found a bus stop with bus info and realised that on the other side of the road there was bus stop to take. But overall the app did enable me to get out and discover some interesting things to and help me get some great photos. A great idea. But when I checked local walks in E Kent, they were self indulgent posts of people’s photos, not a photo based guide to a route. I can ignore them of course, but there may be a danger in allowing people who don’t understand the concept in posting their material. It could swamp the ap. Maybe edit out rubbish if resources allow? Update - The developer has explained that part of the idea was to allow posting of highlights but not necessarily full walks - which seems a good idea. Plus they do curate offerings. So for me it’s 5 star now. A bit like Wikipedia. Improves as we add content and may eventually have thousands of entries. So be patient if no walks near you yet. I love this app! I spend a lot of time at work sitting at a desk, so I love getting out & about whenever I can. There’s nothing like a lovely walk to cheer you up and help you feel happier & healthier. It’s great to find inspiration and I often use Go Jauntly to create my own walks to share with others - I always take a billion pictures whilst out and about so it’s nice to finally have a use for them. I hope other people will find them interesting and use them to explore nature and go on their own adventures. Great to see a growing community and more and more walks being added from around the UK.